I have an inflammation of the heart. I have discovered that my condition can be contagious. It all started 32 years ago, when I led a team to central Mexico, as a young youth minister. Don’t worry, my heart condition is not fatal. My heart was set aflame in Mexico for “Missions”, and my life has never been quite the same. 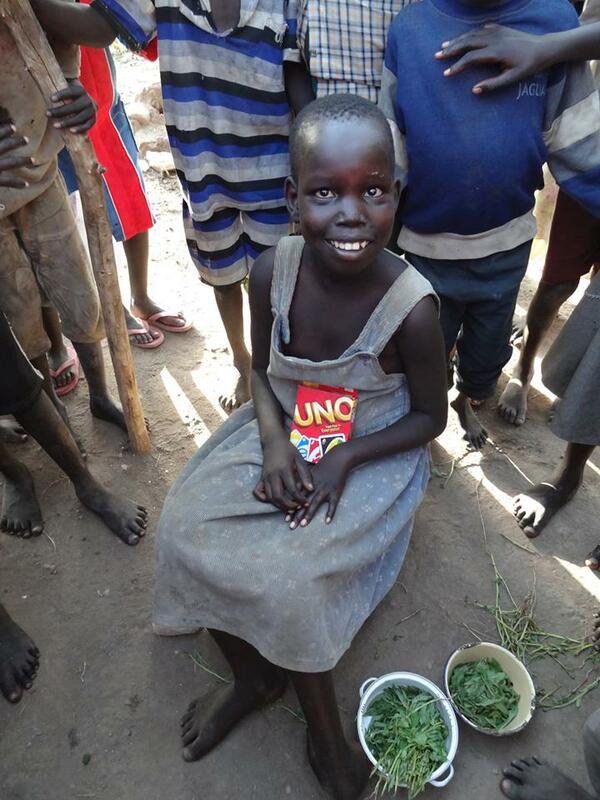 Young girl from South Sudan who came to Christ through a disaster relief response, IMB partners, and medical missions. Jesus instructed every one of His followers to, “Go, therefore, and make disciples of all nations, baptizing them in the name of the Father and of the Son and of the Holy Spirit, teaching them to observe everything that I have commanded you. And remember, I am with you always, to the end of the age” (Matthew 28:19-20). As followers of Jesus Christ, this is our Great Commission. This, above all else, should burn in our hearts. There are approximately 7.4 billion people in our world. About 54% of the world lives in urban areas. By the year 2050, this may increase to 66%. The 5 largest cities in the world are Tokyo, New York City, Sao Paulo, Seoul, and Mexico City. Around 60% of the world lives in Asia. More than 1.3 billion people live in extreme poverty. These people live on less than a $1.25 per day. Every 20 seconds a child dies from issues related to unclean water. There are approximately 210 million orphans across the globe. Of the 17 million children, who have lost one or both of their parents to HIV-AIDS, 90% live in Sub-Sahara Africa. There are 795 million people chronically malnourished around the world. In Sub-Saharan Africa, 1 in 4 people go to bed hungry every night. Close to 3 billion people are unreached in our world with no or very little access to the Gospel. Over 5 Billion people live today without a relationship to Jesus Christ and with no hope for eternity. The average Southern Baptist gives less than $10 to the Lottie Moon Christmas offering for International Missions. Many churches give far less than a tithe to the Cooperative Program, which is still the lifeblood of our mission program. What stirs your heart today? Go on Mission for Christ. Give generously to the Lottie Moon Offering for International Missions. Pray that every person be given the opportunity to hear the Good News of a Savior. “But when Jesus saw the multitudes, He was moved with compassion for them, because they were weary and scattered, like sheep having no shepherd” (Matthew 9:36). 1 thought on What Stirs Your Heart? I pray for more believers to experience inflammation of the heart.